The number of used wet wipes littering UK beaches has increased by 50% in the last year, according to the Marine Conservation Society. The importance of correct and responsible disposal of washroom waste has been highlighted by a recent report by the Marine Conservation Society. This is because many people put them down the toilet instead of in the bin, said the MCS. Rubbish on UK coasts rose by 6.4% from 2013 to 2014, it said in a report. Wipes do not easily disintegrate and sewerage systems are not able to process them. They can block sewers, and when they are washed into the sea they can end up on beaches. An average of 35 wet wipes were found for every kilometre of beach cleaned in 2014, up from 23 per kilometre the previous year. 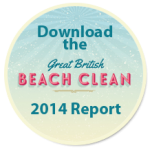 The report – published as part of the MCS’s annual Great British Beach Clean – was based on litter found by more than 5,000 volunteers on 301 UK beaches, from 19 to 22 September last year.